My first trip of the year is coming up in exactly one week so you can bet I’ve been itching to pack for the last month! 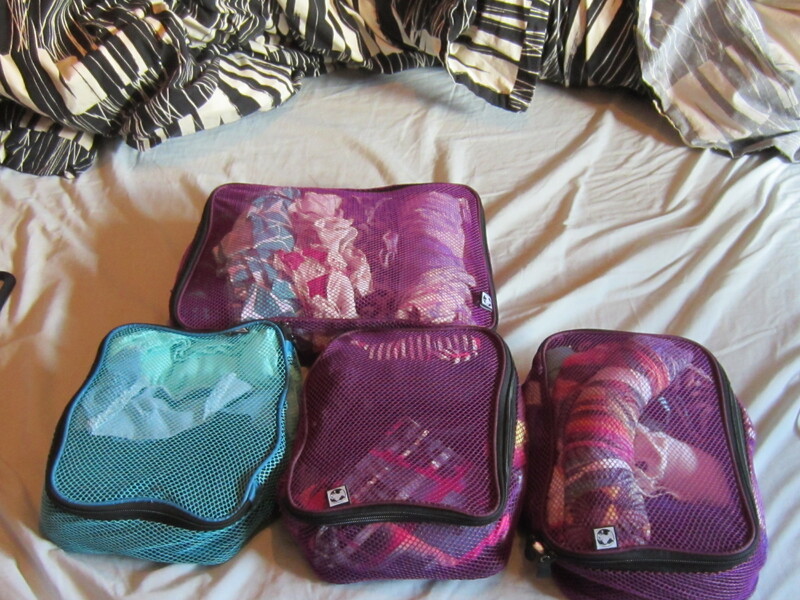 Unfortunately, I think there is such a thing as packing too early and have had to practice restraint. I made it until this past Thursday and couldn’t take it anymore – in a heart-racing frenzy I pulled out my summer clothes and the packing began! 1. It all starts with LUGGAGE. You can’t begin to pack until you’ve decided on your luggage of choice. Backpack or suitcase? Hard case or soft? Wheels or no wheels? Dark, neutral colors are popular as they hide wear and tear and your case looking dirty – but have you ever been standing at the carousel watching dozens of the same black suitcase go ’round and ’round? It’s not fun. One trick from the trade is to purchase a unique color or pattern – especially if you’re going with a suitcase. If you just can’t let go of that black beauty you love, attach something bright to help you identify it when you need to. 2. COORDINATE your clothing. I can’t stress this enough! I never used to think up outfits prior to leaving and would just throw in random tops and bottoms. 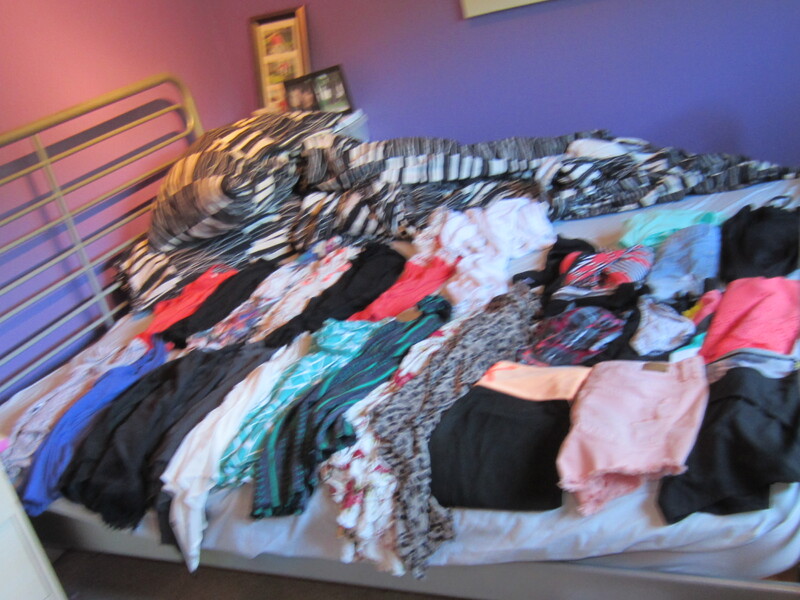 Sure, it’s faster, but more often than not you will end up with a bunch of clothes that never leave your suitcase. You end up wasting space and being upset that you can’t wear your favorite top because you haven’t any bottoms to match. Before tossing clothes in your luggage, create your outfits for your trip. Try them on and try to pick basics that can be worn with more than one item. 3. Roll, Baby, Roll. Rolling your clothes is the best way to create more space and helps reduce wrinkles. Lay your pieces flat and then roll ’em up nice and tight before placing them in your bag. 4. Bring the Basics. When it comes to toiletries, bring the basics. Solid shampoos and conditioners save a ton of space and weight in your bag, coconut oil can be multi-purpose lotion, makeup remover, cooking oil, etc., and you really don’t need your entire eye shadow collection. Embrace the minimalist look and stick to the necessities. 5. Like with Like. This can go two ways: you can either keep each type of clothing together (bottoms with bottoms, tops with tops, dresses with dresses, you get the idea) or you can pack according to outfit, keeping each outfit packed together. You can do this by laying out all the pants in one part of your bag, tops in another, or just by laying out each piece of an outfit together, then another, etc. OR you can opt for clothing organizers that will keep your things separated and allow you to grab what you need without your entire bag exploding in a heap of clothes. Packing for Thailand, Cambodia, and Vietnam. Well, today is the day! In eleven hours I will be stepping on a plane that will take me away to Thailand, alongside a friend that I met last year at the beginning of my first year of university. The weeks leading up to travel are some of my favorite weeks. They are rushed, stressful, and exciting. Paperwork is being done, photocopies are being made, banks are being called and a week before the trip I finally make a list of everything that I need, what I have already and what I still need to buy. Right now, I still need to go buy some bobby pins for my hair and have to quickly go to the doctor to check out my throat. I have the tiniest fear that I might be getting strep throat and, as I’ve mentioned, I leave in nine hours. Great timing. This tends to happen every time I go on a trip. My first one, to Europe, I sprained my ankle the night before I left, leaving me with crutches. Last year, I was sick the entire flight and this time, I may have strep throat. Or just a bad sore throat. No big deal, because nothing can put a damper on my spirits today! It’s a pretty extensive list, I know. And I am fully aware that I probably won’t use some of it/don’t absolutely need it, but hey. I can always leave stuff behind and I never said I was good at packing light! As for the trip itself, I don’t have much of a plan for when I arrive. All I know is that we want to do Thailand, Cambodia and Vietnam. I have so much energy and excitement, I’m like a kid on Christmas morning!